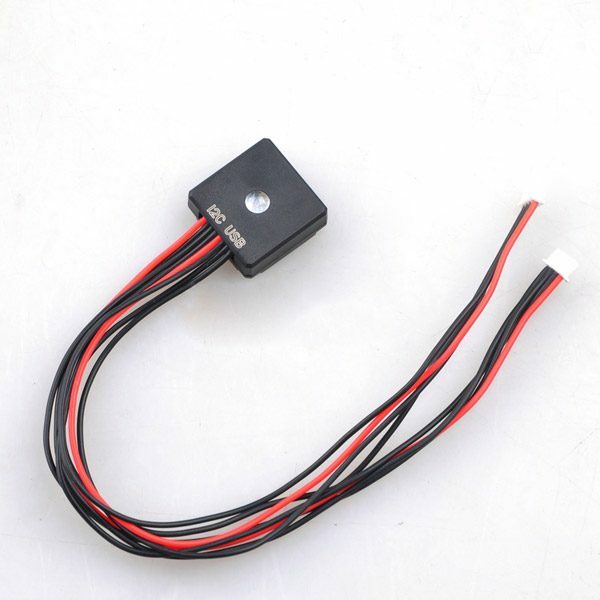 Typical application: Extend the onboard LED of PIXHAWK PX4 flight controller to ourside where can be seen easily. When the exteranl LED is connected, the onboard LED will trun off. By using this exteranl LED, the USB port is also been extended, so you can access to the USB port easier, and no longer affected by the location of your flight controller. Using same LED controller and LED bulbs as original Pixhawk built-in controller and LEDs. Plug the 4-pin connector marked I2C to the I2C port of Pixhawk flight controller. You may need a I2C splitter in case your I2C port already been occupied. Plug the USB connector to USB port of Pixhawk flight controller, then the hookup is done. The onboard LED will turn off when the external LED is connected, to turn back to onboard LED, you only need to disconnect the external LED.